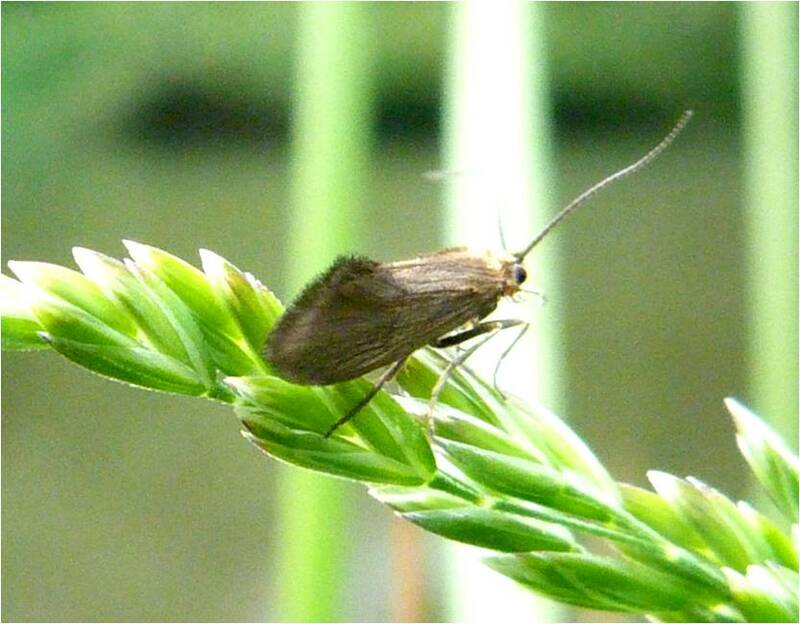 To be honest, I don’t find caddisflies terribly interesting, as they’re all a sort of dullish brown colour and look a bit moth-like. 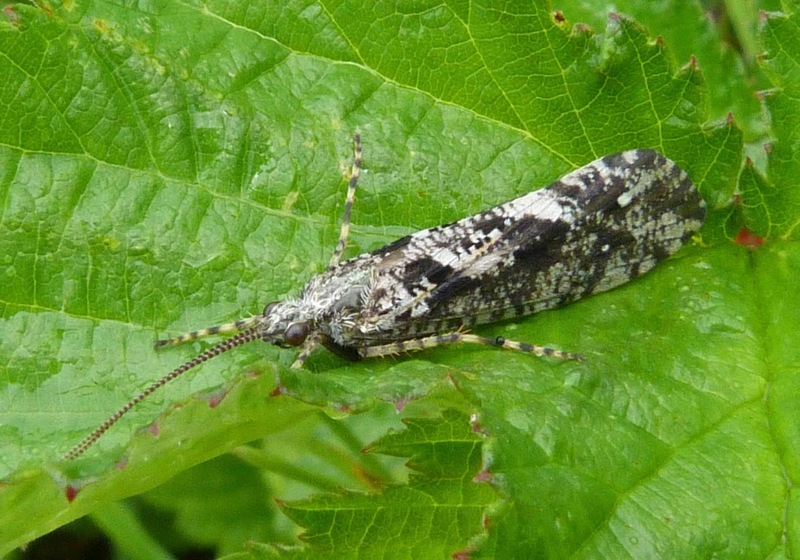 This isn’t surprising as they are in fact closely related to moths and butterflies, although caddisfly wings are covered with hairs rather than scales. 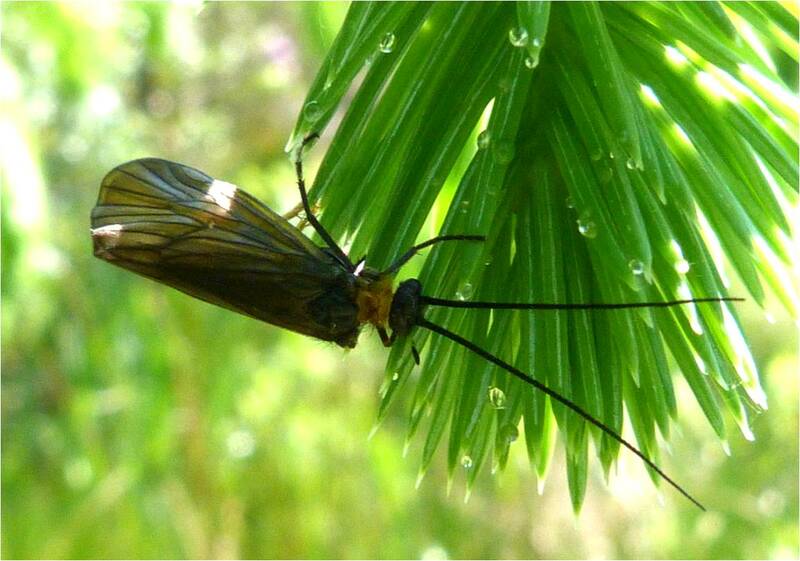 They often live by streams and rivers and have two pairs of hairy, membranous wings. 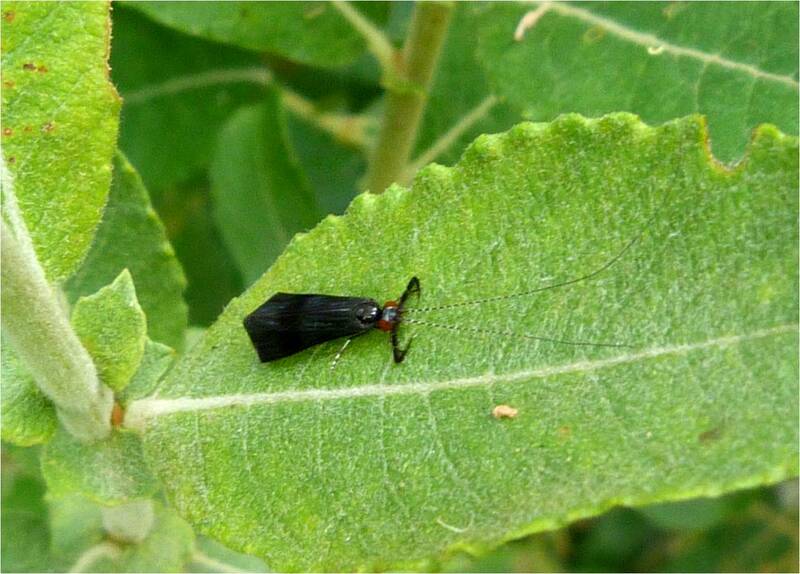 Their antennae are long and wiry. 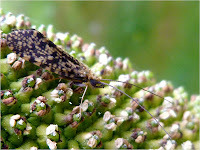 Actually, I have no idea exactly what species of caddisfly this is. All I can see is that it has quite a bit of dark colouring especially towards the back. 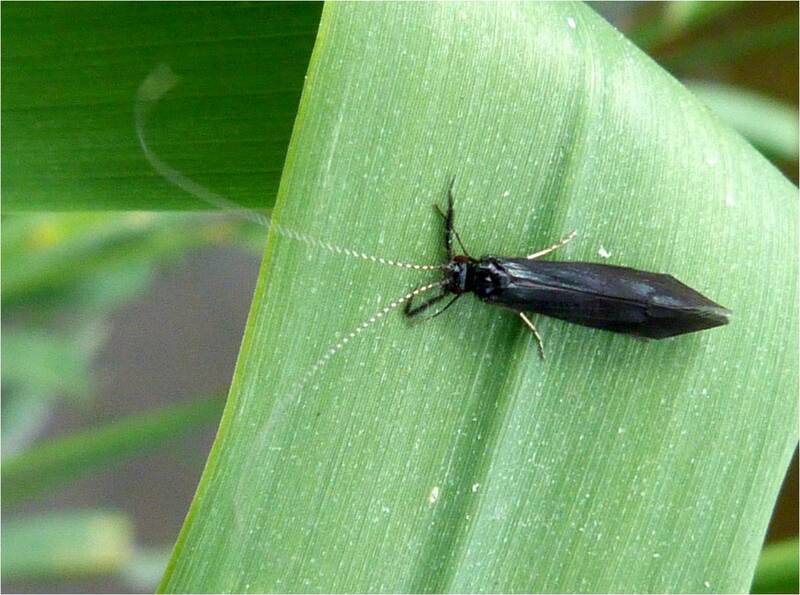 This would suggest it may be a male as the female has a dark stripe on its forewings. 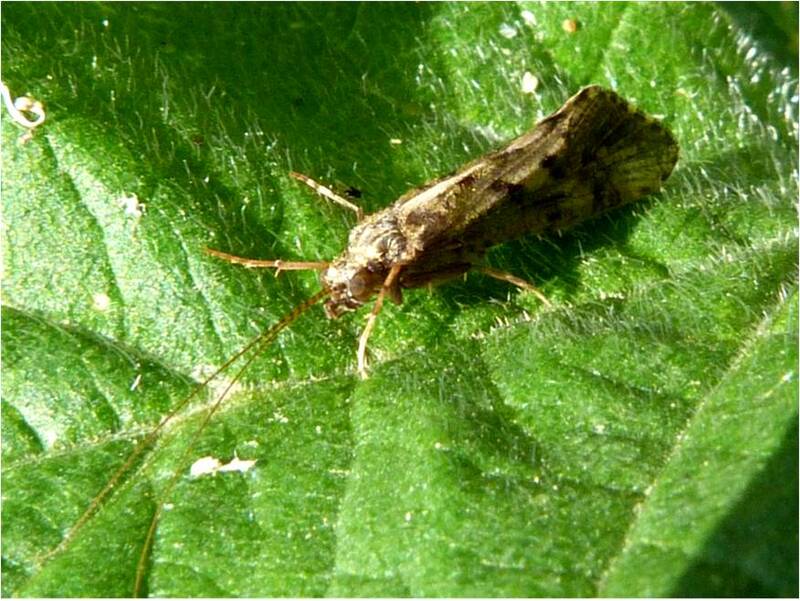 However, this species is one of the largest species of caddisfly and like all caddisflies live beside still or slow moving waters. A rather uninspiring, dull caddisfly. It breeds near still or running water, but usually streams. Whilst the wings are plain brown, they do have a two distinct (although admittedly not terribly distinct in this photo) pale patches towards the rear of them. They make larval cases from sand and twigs to protect the larvae from predators such as fish. 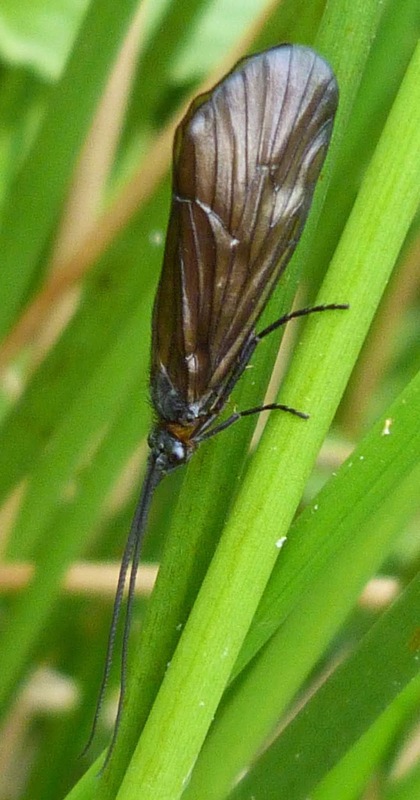 Definitely one of the more colourful and distinctive caddisflies in Scotland and an absolute joy to see in the flesh. Although the caddisfly in this photo looks a mottled tan and brown colour, it is only because it was quite a dull day. The tan areas can actually appear much more yellow than this. 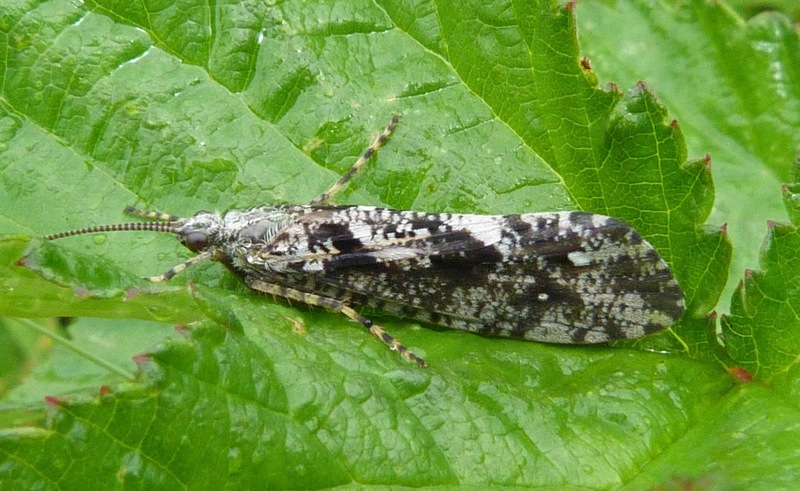 The larvae construct silken nets among the vegetation which sieve out organic material from the water and from which the larvae feed. 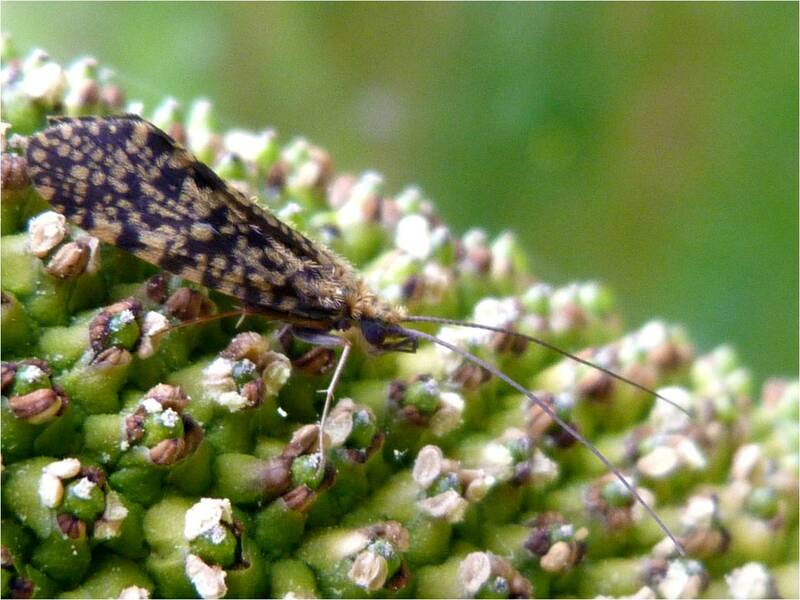 I was convinced this was a strange looking alderfly, but thanks to Florin Feneru at the Natural History Museum (whose help in identifying the photo on the left is again very much appreciated), it turns out in fact to be a caddisfly, possibly Oligotricha striata or something very similar. 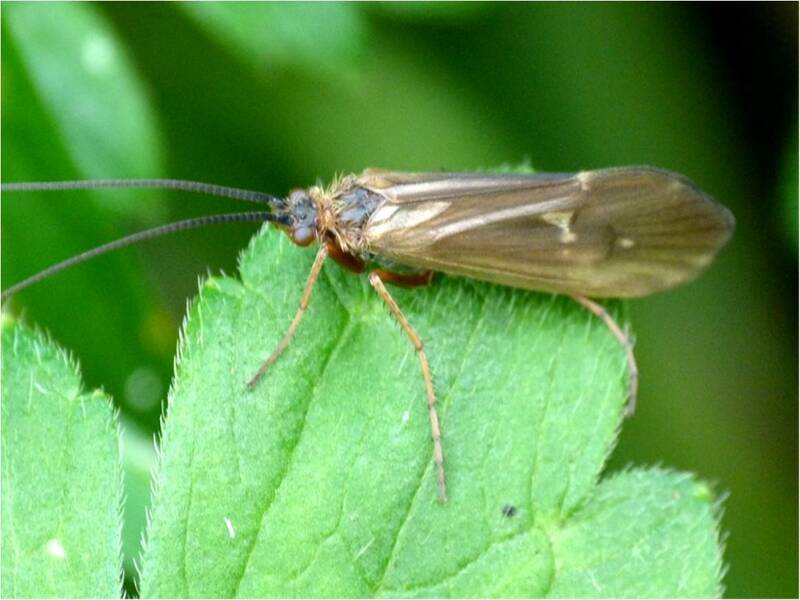 As you can see, it does not have the typical short veins along the front edge of the forewing that you would expect to see if it was an alderfly and it has a yellow 'collar' which again would not be seen in an alderfly.